All the things I hate –– Chinese burns, pimples, cheese, answering questions in class –– are Christmas compared with having to walk through the gate to school. Roxy Ran is a 13 year old girl who doesn’t quite fit in. She goes to school at Hindley Hall where she is getting some special treatment from the school bully, Hero. Then one day while rescuing a kitten Hero is attempting to flush down the toilet, Roxy discovers she has some super ninja powers. All of a sudden she finds herself on a quest to find the White Warrior and the Tiger Scrolls before the powers of evil get them. 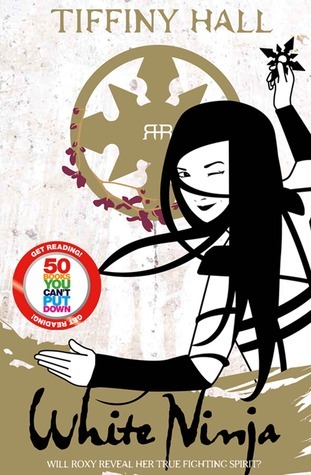 White Ninja is a very short and cute story for early teens and perhaps a little younger about a girl finding the strength to face her fears. Tiffany Hall manages to weave a subtle anti-bullying message into this story without ever preaching. I think this book would be great for young people who find reading difficult. It’s great fun and easy to read. This entry was posted in Uncategorized and tagged bullying, ninja, school bully, tiffany hall, young adult by setaian. Bookmark the permalink.